That's when the female pharaoh Hatshepsut sent five ships sailing south to the far-away 'God's Land' of Punt and then pictured them returning to Egypt with the products of Punt on the walls of her mortuary temple at Deir el-Bahri. As she herself tells us in a lengthy inscription "the ships were laden with the costly products of the Land of Punt and with its many valuable woods, with very much sweet-smelling resin and frankincense, with quantities of ebony and ivory..."
Egyptologists have long have argued about whether, when, how and in what sort of ships the ancient Egyptians went to sea. How did they ever dare to leave the shallow waters of the river Nile? No one ever thinks of the Egyptians as real seagoing sailors: textual references to seafaring are scarce and often provide few details. 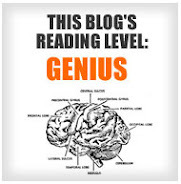 In the last few years, however, new discoveries have dramatically changed that picture. Extensive remains of seagoing ships at the port of Saww/Wadi Gawasis on the Red Sea coast -- in ancient times a sheltered bay, lush with mangroves and deep enough for launching large ships to sail the sea -- provided the first physical evidence of massively built cedar-wood ships that were used to conduct the business of the Egyptian empire on the briny deep. We now know that this port was the jumping-off point for deep-sea voyages to Punt, some 1,200-1,300 km (800 miles) away to the south. 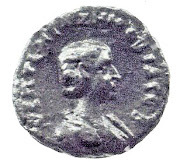 Punt itself has only been recently located in what is now Eritrea. 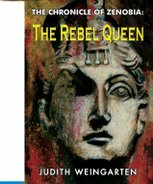 [Zenobia has written all about both discoveries: the location of Punt at Eti, the Eritrean Queen of Punt; and the astonishing finds from Saww/Wadi Gawasis at Hatshepsut and the Turin Papyrus Map]. Even before exploring the site, however, there was evidence that Egyptian sailors were putting out to sea from that harbour in their quest for the fabulous goods to be found at Punt -- myrrh, ebony, gold, ivory, live baboons, and exotic animal skins. An inscribed stela from the time of Senusret I (ca 1956-1911 BCE), second king of the 12th Dynasty, found in a shrine there described ships built on the Nile at Coptos in Upper Egypt for a voyage to Bia-Punt ('the mines of Punt') involving more than 3,200 men. Those sea-going ships were then dismantled for transport and carried by men and donkeys more than 150 km (95 miles) along the wadi routes of the eastern desert to be reassembled at the port. Navigating the dangerous waters of the Red Sea to the very edge of the known world must have seemed to them as daunting as a mission to the Moon to us. Myrrh made it worthwhile. It was not just a sweet-smelling perfume (though it was that too: Hatshepsut rubbed it on her legs to impart a divine fragrance*), but an incense that was essential to the proper worship of gods and for the after-life. Myrrh (Commiphora myrrha) was burned in vast quantities during the daily temple rituals, and used in embalming the bodies of pharaohs and for the mummification of lesser folk, too. As early as the Fifth Dynasty, a single expedition had brought back to Egypt no less than 80,000 measures of myrrh. Demand, however, was insatiable. 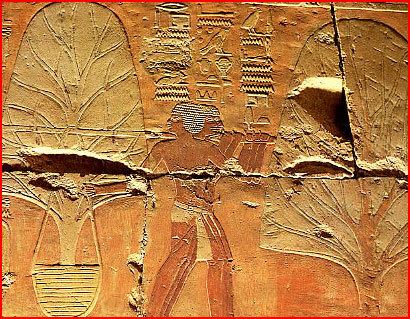 Therefore, besides having orders to import the desired incense from Punt, Hatshepsut's expedition also would collect complete trees and bring them back to Egypt as well (left). You can't sail to Punt without a proper sea-going ship. River craft (used to sailing upstream with the wind in a southerly direction, and moving with oars and the current downstream to the north) would be quickly overwhelmed on the deep tidal waters of the Red Sea. 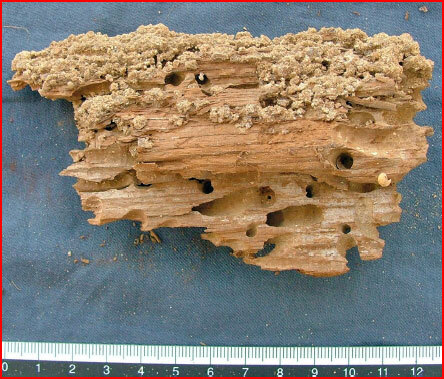 Yet, despite Egypt's perfect conditions for preserving wood, no such craft had ever been found: remains of seagoing ships were limited to a few plank ends dating to the Middle Kingdom at Saww/Wadi Gawasis. 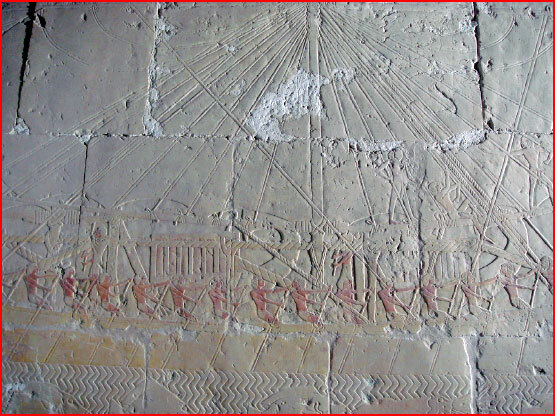 And so, for a great many years, the representation of five ships on a voyage to Punt commemorated in reliefs on the walls of Hatshepsut's mortuary temple was the only real evidence showing that the ancient Egyptian ever took to the high seas. That remained the case until the 2004-2010 excavations at Saww/Wadi Gawasis uncovered a vast complex for staging round-trip voyages to Punt. Archaeologists unearthed substantial ship parts ranging from complete planks to short pieces of oar looms, as well as anchors, and ropes still tied in original knots, dating from the Fifth Dynasty (c. 2500 BCE) to the time of pharaoh Hatshepsut (c. 1475 BCE). But, sometimes, the tiniest clues turn out to be the code-breaker: this picture of a fragment of cedar planking (left) shows where shipworms had tunnelled into wood immersed in the sea -- irrefutable biological proof that the ship had sailed on the Red Sea. Those discoveries provided a scientific foundation for the design, building, and rigging of ancient Egyptian deep-sea ships. They also changed the basic question from ‘did the Egyptians go to sea?’ to ‘how often and how far did the Egyptians sail at sea?". Although we do not have an entire ship—or the ability to identify which vessel a particular timber came from or whether any of the timbers came from the same vessels—the assembly-line mentality of common dimensions, shapes and proportions made me confident that the ... data could be used as the basis for a theoretical reconstruction. 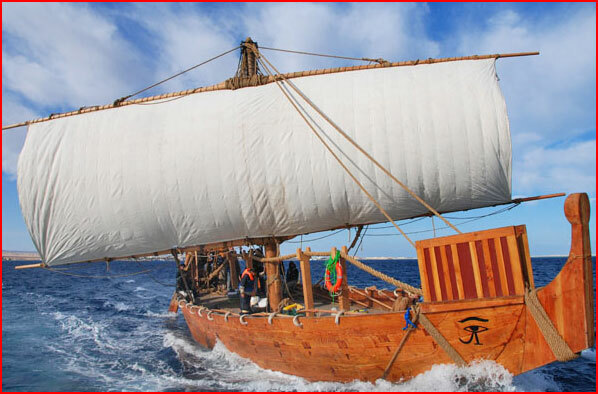 From 2006 to 2008, I led a team that designed, built and sailed a full-scale reconstruction of an ancient Egyptian ship. This theoretical study was measured against the rare full-sized Nile ships that have been found in monumental royal burials, as at Abydos (14 boats in mud-brick boat graves from the reign of Aha, Dynasty 1), at Giza (two 43m-long disassembled ceremonial ships outside Khufu’s pyramid), and at Dashur (four 10m-long boats outside the pyramid of Senwosret III). It is those vessels and timbers that constitute the main physical evidence for the indigenous and unique methods of Egyptian boat and ship construction for the Nile as well as for seagoing ships. Almost all these vessels exhibit similarities and a consistent approach to creating a shell of thick and sturdy planks, fastened along their edges, with beams across the hull at deck level but few frames. The ship was christened Min of the Desert in honour of Min, the ancient god of Coptos, who was also worshipped at the site of Saww/Mersa Gawasis. The good ship Min is 20-m (66') long, 5 m (16') wide and displaces 30 tonnes of water with a cargo capacity of about 17 tonnes. It is based primarily on ship components from Saww/Gawasis as compared with similar features illustrated in the Punt reliefs (left): these are constant across several dimensions and tests, showing consistency in proportions for steering rudder blades, beam spacing and dimensions, oar looms diameters and crutch height. They also correspond well to components illustrated in the Dashur boats, if the scale of the Dashur boats were doubled. That consistency, and similarities between the profiles of Hatshepsut’s ships and those of the Middle Kingdom Dashur boats provided the foundation for the vessel design. The timbers found at Saww/Gawasis resemble boat planks from the Dashur boats, and like them, were carved from cedar of Lebanon (Cedrus libani), a conifer that produces long, straight timber. This lightweight, durable and strongly scented resinous wood was valued for ships, furniture, statues, coffins and other finely crafted objects in the ancient world. Cedar only grows above 1,700m in elevation and was harvested from forests on mountains near the sea and transported as trimmed, roughly squared logs. Transported on ships to Egypt, cedar intended for ship construction was converted to ceremonial craft like those at Dashur and Giza, or perhaps was sent to a royal shipyard. Our effort uses 120-year-old, Douglas fir timber with physical characteristics and features comparable to cedar of Lebanon. We depend on ancient techniques, assisted in some cases by modern technologies such as electrical band saws for the rough cutting of plank shapes. Most work is done with hand tools made to specifications comparable to ancient examples, but of iron rather than hammered copper. But what kind of sailing could be done with these vessels? We made short trips on the Nile at first, and then in the Red Sea, before attempting the longer trial voyage south towards Sudan from Safaga along the route used by the Egyptians. The square sail is high above the deck and quite large at 14.25 x 5 m, and it has no brailing lines (an innovation of the late 13th/early 12th century BCE). 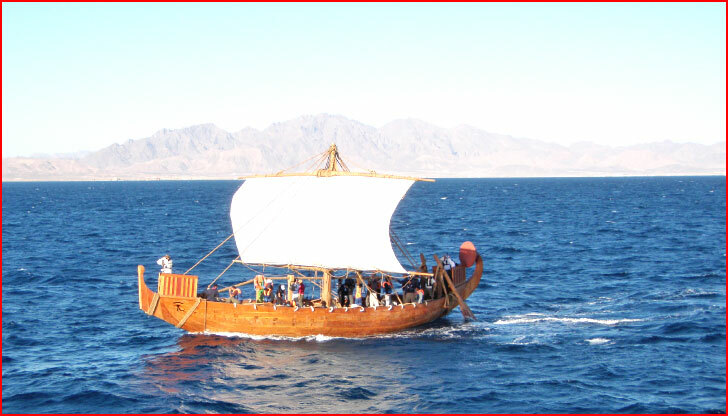 Day sails and practice in rowing prepared the crew for the longer trip in the Red Sea. All Hands to the Bilge Pump! Because archaeologists had found no trace of any caulking materials at Saww/Wadi Gawasis, it was hoped that the ship would be watertight because of the precisely cut hull planking alone. It took just one trip on the Nile to be rudely disabused of this notion: the hull quickly filled with water and almost sank. The researchers turned to linen fibres and beeswax, two natural products used by the ancient Egyptians for wooden furniture and coffins. No one knows if the ancient shipwrights used this or another formula ... but they certainly used some kind of natural products to caulk their ships. Ward and a crew of two dozen students, engineers, and sailors embarked on an 18-day voyage on the Red Sea aboard the reconstructed ship. Min of the Desert outperformed all expectations, logging an average speed just above 6 knots over six days, with speeds of up to 9 knots. During the voyage, wind speed reached 25 knots, and the swells climbed to 2.5–3.0m, but the ship easily kept to its course and suffered no adverse effects. The trip indicated that the Egyptians were much more proficient shipwrights than previously thought. 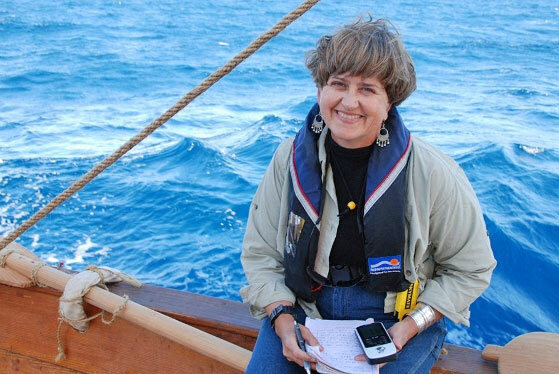 "When the wind picked up and filled our sail, we just took off," she says, about twice as fast as she'd expected. "My hope was that we would be able to have a nice, solid voyage in which we could test the capability of the ship. I had no idea it would be so exhilarating, so easy to operate, and such a direct reflection of what we see in the ancient reliefs." 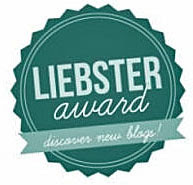 * Read about one of Hatshepsut's perfume flasks on my blog post at Hatshepsut Smells as Sweet. Explore different parts of the ship in this interactive Anatomy of the Punt Ship. First left: Relief from Hatshepsut's mortuary temple of men carrying myrrh trees with roots in pots (AboveTopSecret). Portrait of Dr Cheryl Ward from her Home Page at Coastal Carolina University.